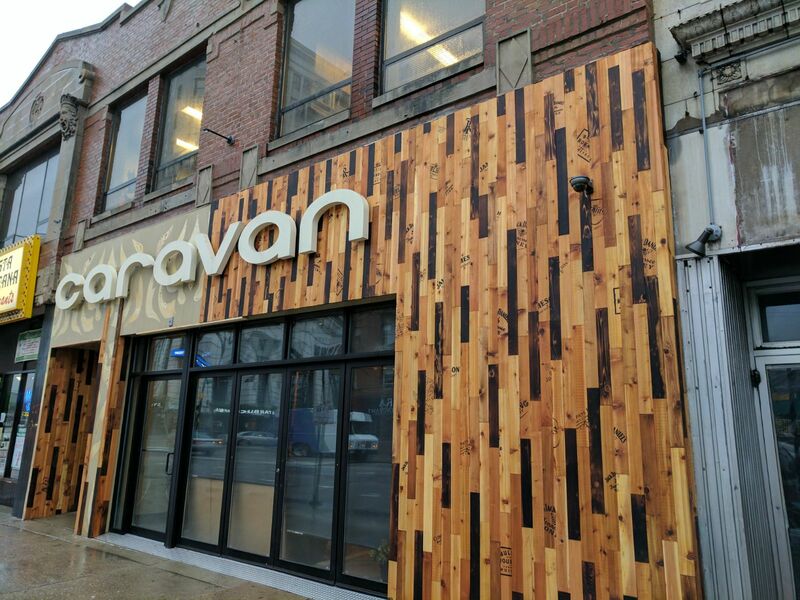 Caravan Restaurant at 4810 N. Broadway continues its transformation from only middle eastern cuisine, to the addition of pub food like piza and burgers along with 22 HDTVs broadcasting sports. 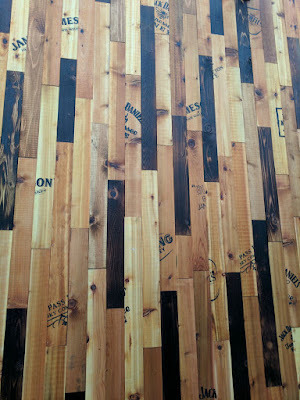 The facade has also gotten an interesting upgrade with wood planks from liquor crates like Jack Daniels and Jameson Whiskey, complete with the random markings still visible. 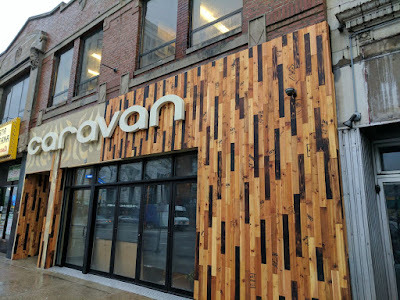 Caravan plans to reopen at the end of January with its new concept. 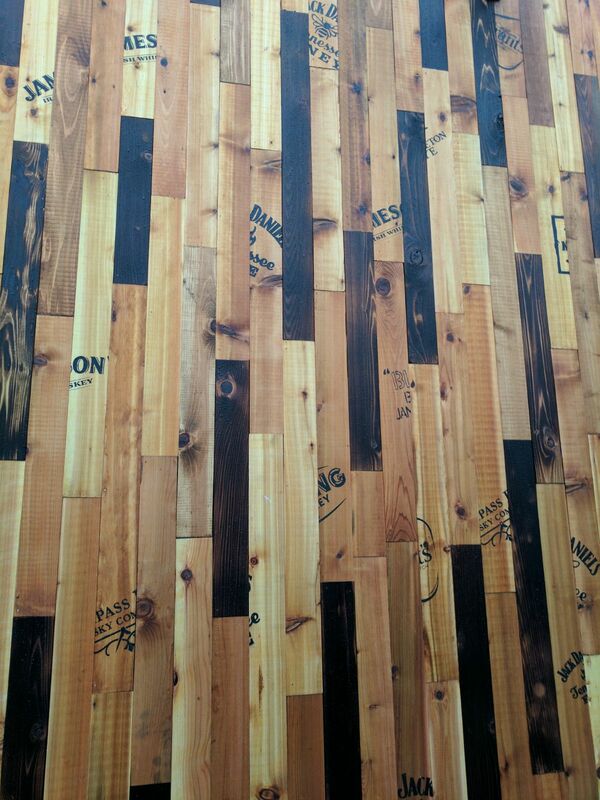 The updated menu can be found here.